There is an old Saturday Night Live skit which plays with an idea that before the Beatles made it big, they once had a trumpeter in the lineup. In the skit, when it comes time for the solo in “I Wanna Hold Your Hand”, the trumpeter crashes through the tune with an obviously out of place sound that ruins the song for everyone listening. This is the same feeling which I couldn’t shake while listening to the new Coronatus album “Raben Im Herz” (which translates as “Ravens in My Heart”). Fronted by two talented female vocalists, rocker Anny Maleyes and soprano Carmen Lorch, the German Goth/Folk metal band, have created an album which features many individual talents. But when blended together it works as well as kale flavored ice cream. The opening track, “The Lady of the Wall”, works well. It marries the different sounds of operatic mournfulness with waves of orchestral beauty and the deliberate heavy metal dirge of distortion. Nothing is over the top and it effectively builds into a satisfying payoff. Unfortunately, the strength of what is done well here is not replicated again until the last track of the album, “Frozen Swan”. The next track, “Konig Der Nebel”, assaults you with several folk sounds, including an accordion! All while blast beating heavy double bass and cracking your head with the bottom heavy sounds of a very Slayer-esque riff. Lorch’s singing soars and vibrates so far above the rest of the song, that it becomes as distracting just as the trumpet that bulldozed the Beatles on SNL. Sadly, the rest of the album never manages to escape this forced combination of sound. Track 4, “Carpe Noctem”, throws in a bagpipe against the sounds of an aggressive orchestra. It is very reminiscent of Dimmu Borgir’s “Progenies of the Great Apocalypse“. However, it sounds as if you’re at a medieval concert during the dark ages and Megadeth have traveled back in time to play a gig because they lost a bet. Granted, it would be cool to see, but as far as something to hear… not so much. “Hoffnung Stirbt Niemals”,“Anderswelt”, and “Canan Nan Gaidhael” also all suffer from the same fate as the previous tracks. Having strong individual parts that have been shoehorned together into a space they shouldn’t cohabit. 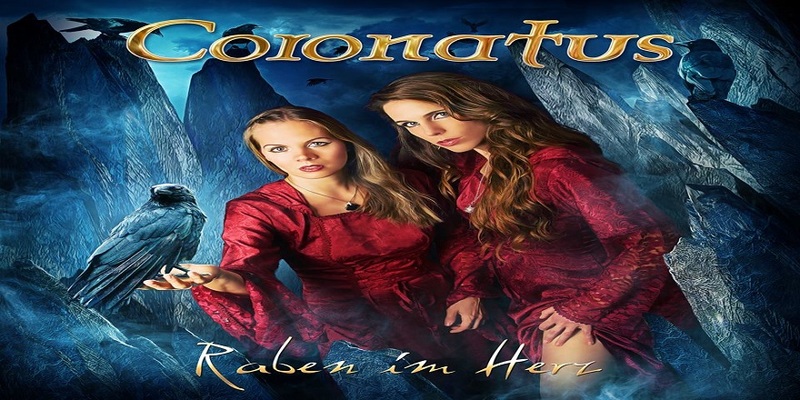 But as this album’s noble attempt at a unique sound comes to an end, Coronatus manage to bring “Raben Im Herz” to a respectable close with the final song, “Frozen Swan”. Much like the opening track, “Frozen Swan” demonstrates that when all of the instruments step back and stop trying to individually to compete for the spotlight, it becomes a very pleasant sound. But as a listener, by the time you’ve reached this point of the album, it feels akin to pressing similar magnetic pole ends of two magnets together. When held together, a reluctant harmony is achieved that is immediately broken when not being held together by an outside force. Bands have been trying for decades to mix the opposing sounds of rock and classical music successfully. In my opinion, this hasn’t been achieved yet, and I don’t think it ever will. While I appreciate the talent which Coronatus displays on “Raben Im Herz”, I think the musicians responsible for these attempted collaborations should surrender to the sword of defeat and end these arranged marriages. Highlights are “Falling” (lovely straight-forward uptempo Melodic Heavy Rocker, very catchy tune actually), “Forgotten worlds” (very nice calmer almost AORish semi-acoustic ballad) and “Wasting my time” (hello MASTERPLAN meets CIRCLE 2 CIRCLE, a fantastic Neo-Classical Melodic Metal Masterpiece!). 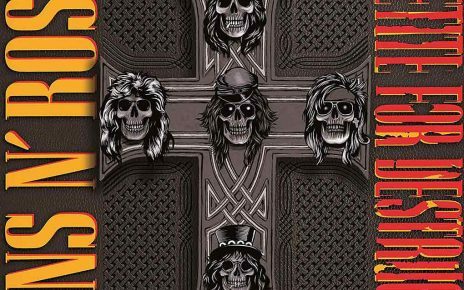 Combined with the sublime quality of the remastered classic, the EPs, and bonus tracks, I can absolutely say that this entire compilation really is a must-have for any fan. 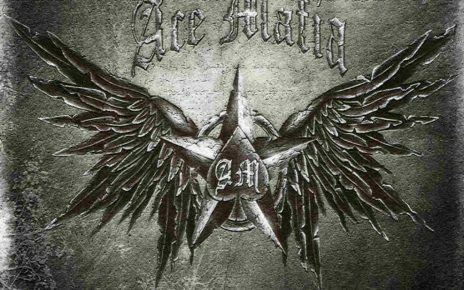 Formed via the Camden-based Hard Rock and Metal institution ‘Metalworks’, Ace Mafia have had to wait a while since their independently released 2009 debut ‘Vicious Circle’.